This pictorial shows one method of laying out nose and tail blocking. 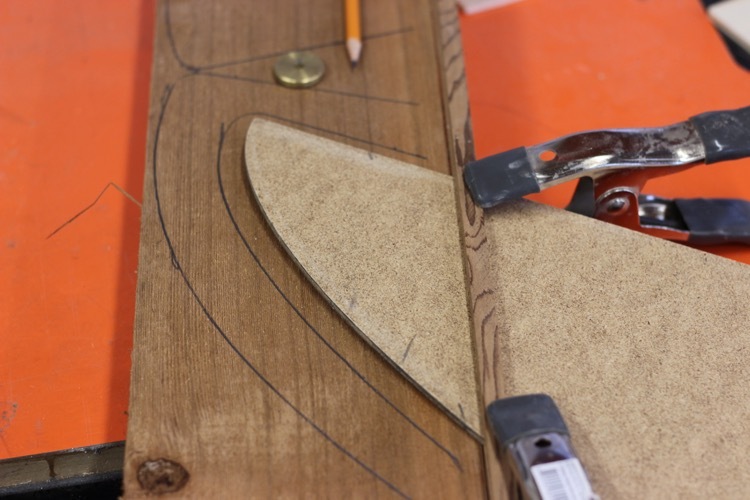 This 2 x 6 inch board allows the tail blocking to be cut from the inside of the nose blocking. This not only looks nice on the finished board but it minimizes waste. This tutorial is using a hardboard outline template but the same procedure can be done with paper template. 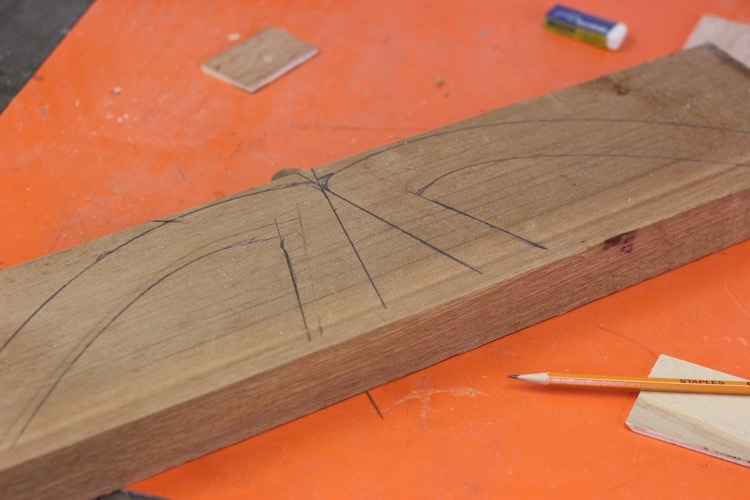 The stick is being used to ensure everything stays symmetrical when the template is flipped for the other side. The red mark on the template is the required length of the blocking for this board. It is wise to start slightly larger than required and trim to fit. 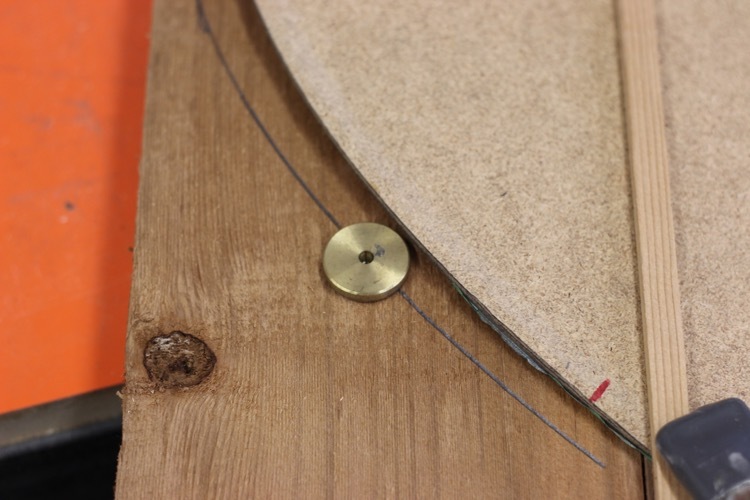 A washer is being used to slightly oversize the templates. Follow the same procedure for the tail. 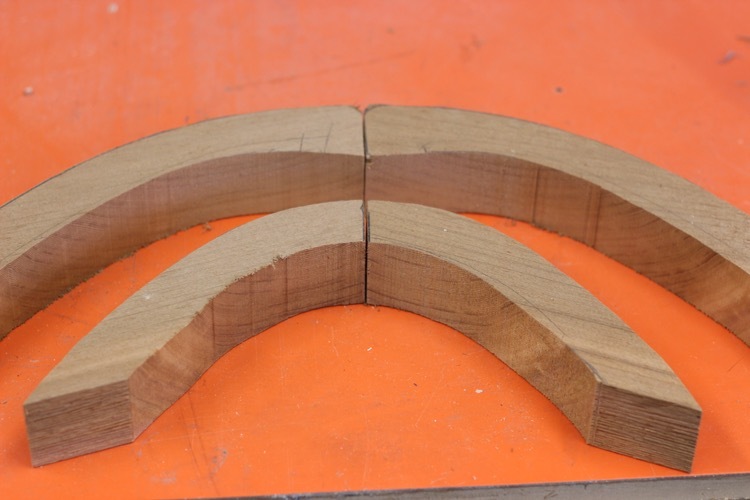 You can see how the reference mark on the template (stick) has aligned the grain perfectly. 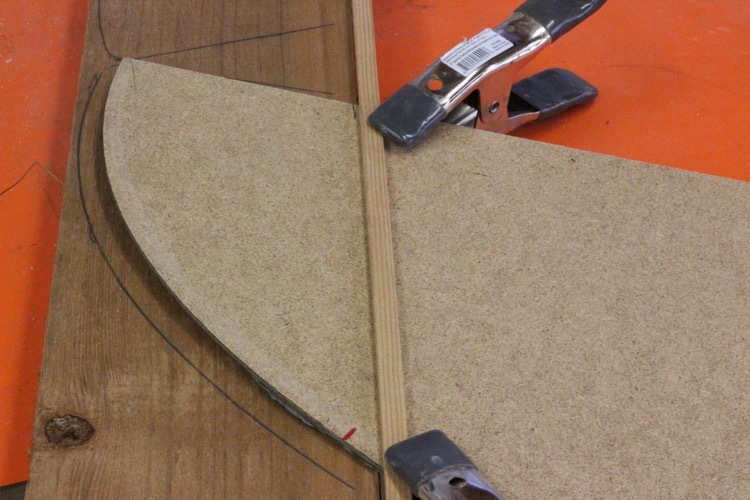 Parts are rough cut then the edges are squared to the board’s layout marks. The centre and the blocking-to-rails should fit perfectly. The overall size of the blocking doesn’t really matter as it is easily shaped after the glue is dried. If your blocking isn’t tight to the rails you can use the blocking as a saw guide for your Japanese saw. Slowly work the blocking into position 1 saw blade kerf at a time. 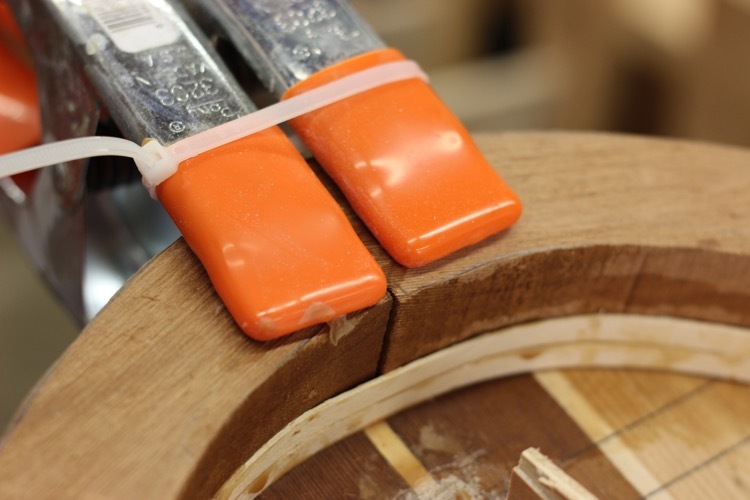 If the centre wants to open while gluing a zap-strap can be used to apply inward pressure after the clamps are on. 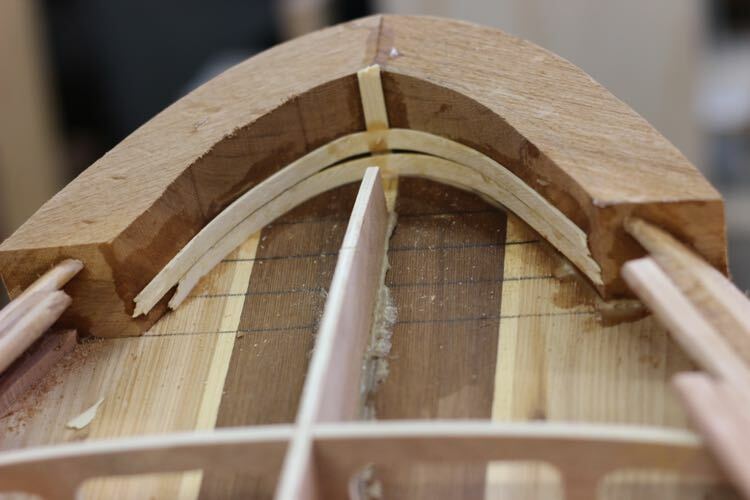 The thin strips of wood also are being used to support the weak end grain glue joint until fiberglass is added.